If you’re on board for this kind of seasonal nourishment, this simple recipe can get you there in an instant. 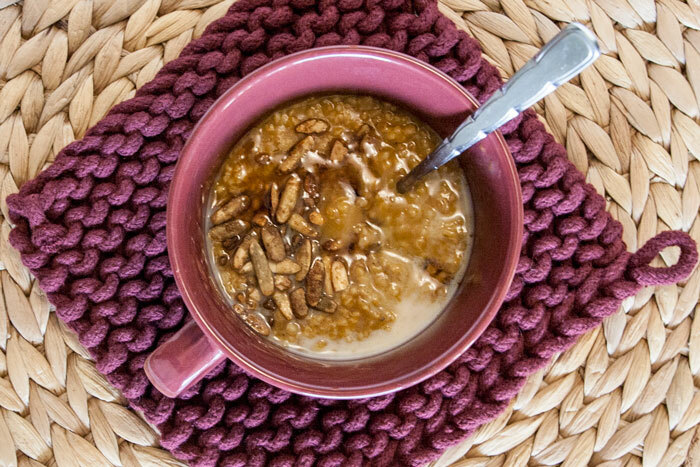 Using a pressure cooker for steel-cut oats is significantly faster than simmering on a stove-top, and Instant Pot’s talent for set-it-and-forget-it cooking makes this especially weekday-friendly. Before locking down for pressure cooking, the oats and spices are enhanced by a quick toasting on Saute Mode to bring out more flavor and aroma. The spice blend I’ve listed is the go-to impromptu pumpkin pie formula in my pantry, but feel free to tweak it as you like (if you’re into cardamom, it would be a nice extra) or swap in your favorite pre-blended pie spice to simplify. I think ginger is essential, and prefer to use fresh grated root instead of powder. 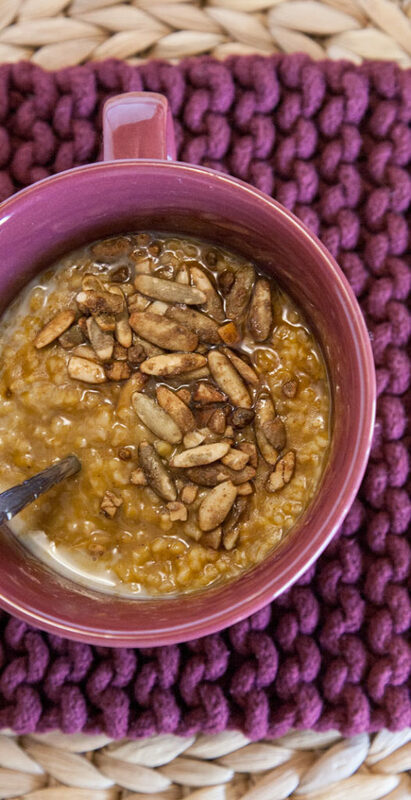 I like it best added together with the liquid ingredients so the flavors can marry while cooking, but if you really like a sharp ginger bite, you can mix it into the finished oats right before serving. I keep the porridge itself unsweetened, with the option to add a drizzle of maple syrup as a topping. I like to top my bowl off with an extra splash of almond milk, and a handful of pumpkin seeds – which add textural contrast along with nourishing fats, protein, magnesium and iron. And if you really want to get celebratory about ringing in the new season: get thee to Trader Joe’s, and double down with a bag of their pumpkin-spiced pumpkin seeds. Make a big batch, reheat each morning, and don’t forget to save a cup for my dearly beloved recipe for steel-cut oat pancakes! If you have a pumpkin pie spice blend you like, you can simplify the recipe by replacing the dried spices with 2 teaspoons of your mix. Begin by toasting the oats and spices: heat the pressure cooker to medium saute heat (with Instant Pot, press the ‘Saute’ button and keep the default temperature setting). Add the dry oats and cook for a few more minutes, until they begin to smell toasty. Then stir in the dry spices and continue to saute for about 1 minute more, until the spices are fragrant. Add fresh ginger (if desired) along with the pumpkin puree, almond milk and salt. 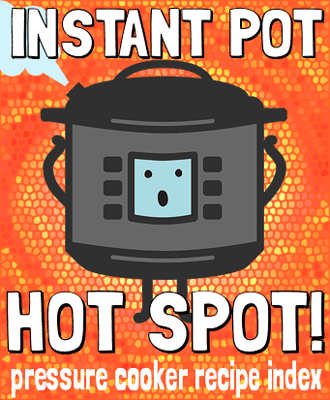 Stir to combine, then cook under high pressure for 2 minutes (with Instant Pot, press ‘Cancel’ to stop saute mode, then close the lid and press ‘Manual’ to select 2 minutes with the valve set to "sealing" position). When the cooking time is complete, allow 10 minutes for a natural pressure release before opening the valve and lid. Serve warm, and if desired, top with a drizzle of maple syrup, a handful of pumpkin seeds, or any of your other favorite toppings.